Sharing the joy of a custom-designed home with every home-owner. You’ll never believe who Design Café’s very first client was. 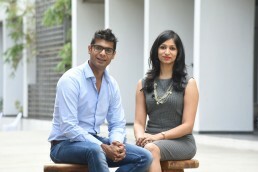 The Service Manager from co- founders, Gita Ramanan and Shezaan Bhojani’s bank. Not only did he help them open the Design Café account, he also wrote the very first cheque in the name of the brand when his home was delivered – in less than 45 days. 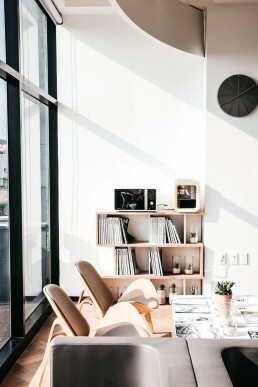 It’s a great story in itself, and a lovely illustration of the need that drives Design Café: the fact that everyone deserves original, good home interior design. When Gita and Shezaan, both award-winning architects, realised that the mid-level home interior segment in India yearned for good design, they saw it as an opportunity to solve a pressing problem through design, technology, and innovation. Design Café would democratise design, and lead the way to providing home owners with interiors they would love and enjoy. The home interior market is massive, with 98% of it continuing to be disorganised. Design Café disrupted it from Day One, with experience centres, Virtual Reality displays, and a 90-day delivery guarantee. From booking to delivery, the process is creative, fun, and easy. The disruption has been well worth it, as Design Café currently books a home a day, every day. That number can only rise.